black eyes were as piercing as ever. He died while we were driving home that night. We will miss him, but are glad for him that his suffering is over. I'm not sure what heaven is like, but I keep picturing him having a grand old time darting around renewing old aquaintances, and entertaining one and all with his great stories! Bev asked if we had any photos of Don, so Clem and I had fun looking through old albums last night. 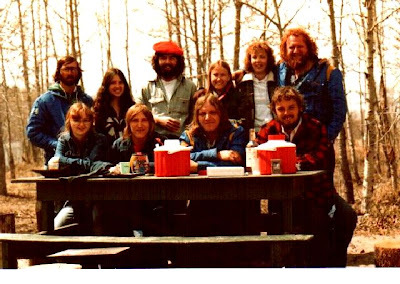 Here's one from way back, a camping trip, I think. Recognize anyone? Don and Hilda lived in Calgary while we were there. 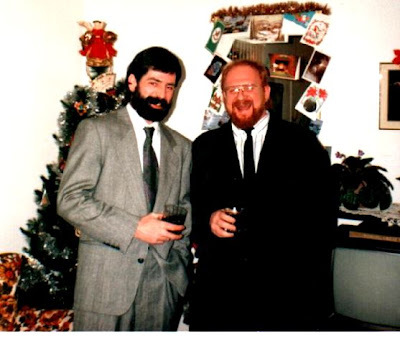 They came over for Christmas Eve in 1990, the first time I didn't come back to Saskatchewan for the holidays. We had a great time! I remember hassling Don about the fancy suit, but he said he had to dress up if he was going to church! I can't remember what Don said just before this photo was taken, but it cracked Clem up. I'm not sure why there were so many Phillips in Calgary this time, but they came over for a visit. 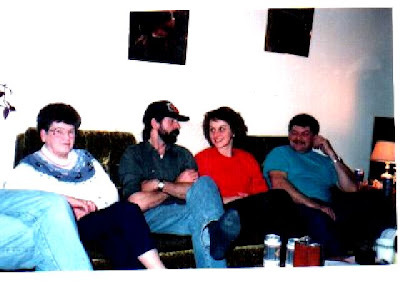 Donny told some hair-raising stories that night, sitting beside his mom! I told Donny on Friday that Derek is his fault! We went to Don and Carla's wedding in Fort MacMurray in 1997, and apparently had too good a time, because nine months later we had Derek. 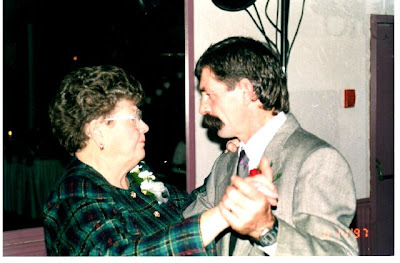 I love this picture of Don and Mary dancing at his wedding. Rest in peace, old friend! We love you! Good comments about Don and the Phillips,Chandra. I to have have some stories I could tell when he worked for the Dept.of Highways ,as could lots of other people. 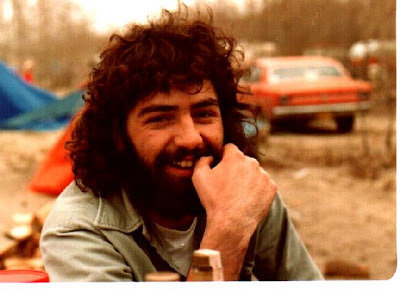 Thanks for sharing your photos of Donny. I feel bad that I will miss his funeral. I expect it will be a grand reunion of sorts celebrating the bond we all shared with him... I am sure he would approve! Chandra I commend you on such a great caring and sharing tribute to Don. I remember him as one of the Phillip boys, and it also makes me think of Mary & Joe, and the frequent visits they made to Buena Vista to visit her parents, which I admitted to the facility which must have been 1975. I duplicate what everyone else has said --your tribute to Don was so heartfelt. You have a true knack and are such a caring person. Hugs.